Welcome to Day #8 of Chocolate and Halloween wEEKs. 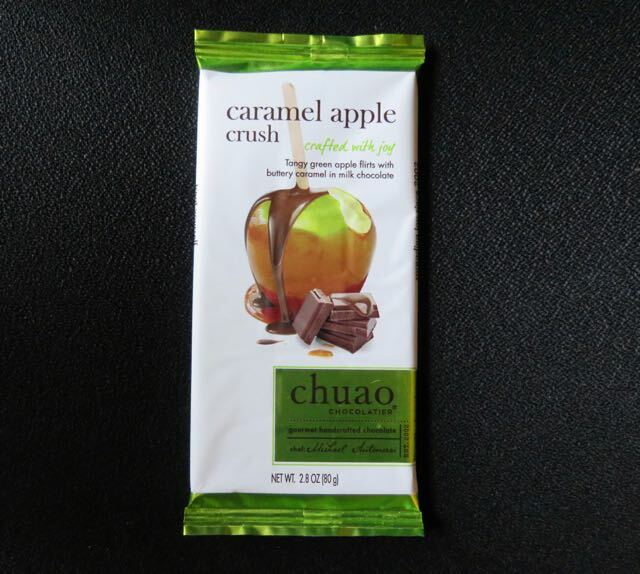 Another option for Halloween chocolate is to pick an autumn-themed bar, like this Caramel Apple Crush bar from Chuao Chocolatier (Carlsbad, CA). The inspiration for this bar came from the tangy green apple and buttery caramel in caramel apples. Tiny bits of dried apple and toffee were encased in 41% milk chocolate. 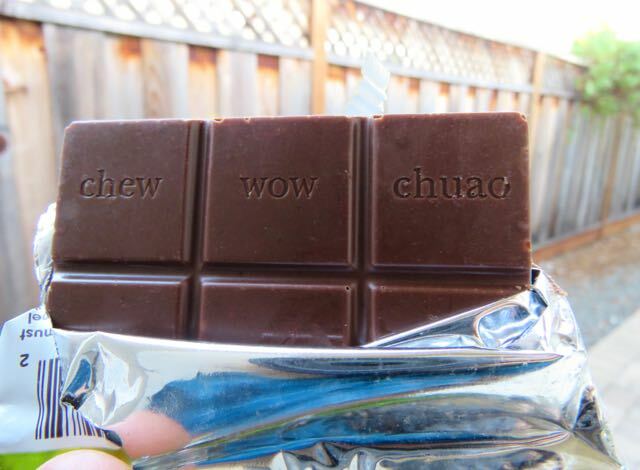 The bar had a pleasant premium milk chocolate aroma, and while it was sweet (like a caramel apple might be), the flavor inclusions were balanced and authentic tasting. This Caramel Apple bar was made with Fair Trade Certified Cocoa, gluten-free and Non-GMO ingredients, and without artificial preservatives, sweeteners, colors and flavors. The bar was also Kosher Certified. This bar is also available for trick-or-treaters in mini bar size (along with the company's Baconluxious, Orange-A-Go-Go and Potato Chip bars).